Deputy Secretary of State John Sullivan told reporters on Tuesday that while the State Department remained focused on quelling tensions with North Korea through diplomatic channels, that the nation and world must remain prepared for the possibility that those efforts will fail. "We must, however, with our allies in Japan and South Korea and elsewhere, be prepared for the worst should diplomacy fail,” Sullivan said, according to the Associated Press. The comments come fresh off a report from CNN claiming a North Korean official said that the country is no longer interested in diplomacy until it develops the capabilities to build a long-range (ICBM) capable of hitting the East coast of the United States. "Before we can engage in diplomacy with the Trump administration, we want to send a clear message that [North Korea] has a reliable defensive and offensive capability to counter any aggression from the United States," the North Korean official reportedly told CNN. Sullivan's remarks came after a meeting with his Japanese counterpart, Shinsuke Sugiyama, where they two discussed rising tensions in the region. They are scheduled to travel to South Korea to continue those discussions and the U.S. and South Korea hold joint naval drills this week. 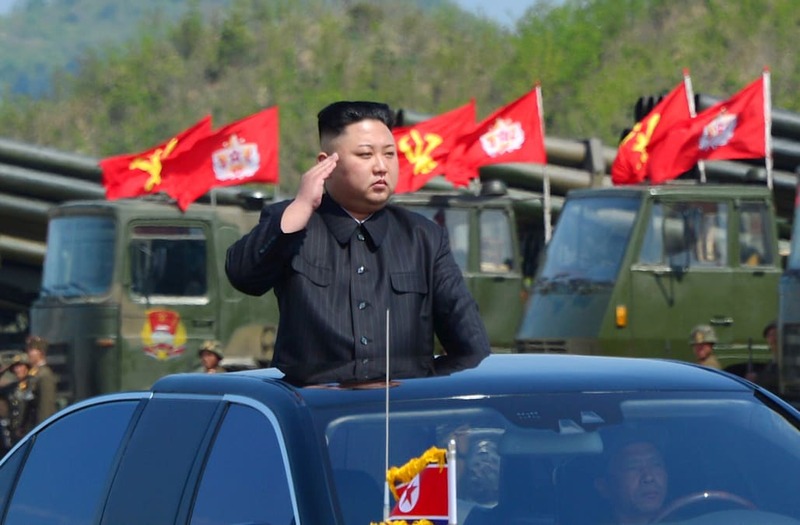 North Korea escalated its rhetoric against the United States and the world on Monday, telling the United Nations member states in a statement to not join any U.S. military efforts against North Korea if they wish to remain safe from violent retaliation. Over the weekend, Secretary of State John Tillerson said that he intends to continue diplomatic efforts with North Korea until "the first bomb drops."